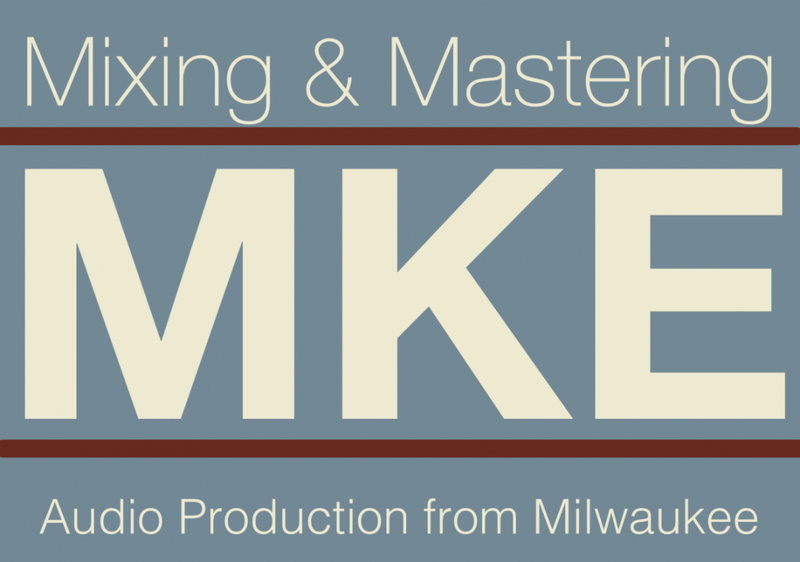 With over 20 years of experience in audio production and engineering, MKE Mixing & Mastering provides cost effective audio services for Milwaukee and beyond. With a focus on friendly, customer service driven production, clients can see the value in working with MKE Mixing & Mastering. A: Aldraz Qob, is a amazingly talented musician. I worked as a mix and mastering engineer and helped with marketing after mastering. It felt great to see a project to completion. A: Buffalo Gospel, Live at Anodyne. A: Digital because it really has come a far way in the last 10 years. It's hard to beat the convince and price compared to the challenges of analog. Nothing is perfect and what really matters is what comes out of the speakers. No average listener of music cares what EQ or compression you used on something. A: I always leave you satisfied. That's what she said. A: Working with new talented artists with a passion for their music. A: How much do you charge? My answer is flat fair pricing to complete your project. A: Expensive gear doesn't always yield great results. A: What are your influences? How do you think your song or album be even better? A: Reverend Double Agent, JHS Double Barrel, Keeley Delay Workstation, MacBook Pro, Paper. A: Played as a musician for 15 years and work as a studio assistant for the last 3 years. I also work as a software engineer and create custom applications and websites. A: Justin Vernon of Bon Iver. He is an amazing talent that stretches musical boundaries. A: Listen! Don't just turn knobs or add a plugin to a track. Only do what the music requires and trust your instincts! A: Wide ranging. Rock, Americana, Hip Hop, R&B, Jazz. A: Communication and listening skills. Both with clients and their projects. A: Polish, shine and fresh ears to make a production radio ready! A: Home based studio setup with Yamaha NS-10 and acoustically treated recording space. A: Often finalizing rough mixes or mastering final mixes are the most common type of work I do. But I also have worked as a producer, writer, session musician and drum programming. Charge separately for additional revisions at a flat rate. Typically will respond to emails within 24 hours. Average turn around time is 1-2 weeks depending upon workload. 15% off for first time clients!